A streamlined hiring process provides a clear view into the organization and enables recruiters to identify a candidate’s ability to succeed. However, a lack of necessary tools can result in recruiters wasting time—chasing down hiring managers, coordinating schedules and collecting feedback. In order to extend offers to top talent, it’s important to ensure that tools are in place to manage the hiring experience most effectively. As HR departments finalize their budgets for 2017 and evaluate which tools to implement, here are four categories that should be top-of-mind. Conversations are happening within a wide pool of candidates across different media, and a talent relationship management (TRM) system can help track engagement, maintain strong relationships with an organization’s talent community and hire the most qualified candidates. Recruitment is a game of speed, and hiring teams can’t afford to be bogged down by clunky systems or to waste time combing through resumes. A TRM combines the functionality of multiple systems to ensure visibility and collaboration among all stakeholders by easily providing, updating, and sharing candidate data. This technology can help talent acquisition teams source directly from a passive candidate pipeline, manage the end-to-end candidate journey in a centralized location, track every candidate touch point, and automate follow-up communication. Between the screening process, attending recruiting events, and moving candidates through the pipeline, time is a valuable commodity in talent acquisition. Scheduling software streamlines recruiters’ workloads, which allows for greater flexibility, automated administrative functions, and improved efficiency. Whether you're scheduling interviews in advance, on-the-go, or via candidate self-scheduling, scheduling software ensures that interview scheduling is optimized for all participants. In-person, pre-recorded, and live video interview capabilities enable recruiters to schedule the right type of interviews ,alleviating scheduling conflicts and minimizing travel costs. Incorporating video interviewing into the talent acquisition toolkit can save the team from hours of candidate sourcing and screening, reduce the risk of losing top talent to quicker moving companies, and significantly save on the costs of flying in candidates for interviews. Teams can lessen the time investment and scheduling complications associated with phone screens by vetting candidates using pre-recorded video interviewing. Video interviews are an efficient way for recruiters to quickly compare and contrast candidates without delaying the hiring timeline. Phone screens are minimized, time-to-hire is reduced and scheduling changes are easily accommodated. Every interview workflow should include online and mobile evaluations to reduce the amount of time required to collect interviewer feedback. Delays in interviewer feedback can result in losing candidates to faster moving companies. Evaluation management software increases productivity by automating evaluation requests as soon as an interview is complete and decreasing the time required from employees to provide feedback on interviewees. Bottlenecks in the hiring pipeline result from manual and/or inefficient processes. Evaluation management software that includes standardized interview and evaluation questions protects against groupthink and removes hiring obstacles. Dan Bartfield is the co-founder and president of Yello,which provides recruitment technology solutions. Quick, easy, manageable communication between all members of your team. Workforce management is a effortless with our employee shift scheduling software and free mobile app. I welcome all the suggestion mentioned in this blog related to new learning skills. i have recently started to work for the Hr department of a pre-opening school, the information provided has helped me tremendously. i just wanted to know if there are any other points to consider while formulating Hr policies for the dept and the various laws that needs to be taken in to consideration, school per say. Really nice blog has been shared by you. before i read this blog i didn't have any knowledge about this. but now i got some knowledge. so keep on sharing such kind of an interesting blogs. 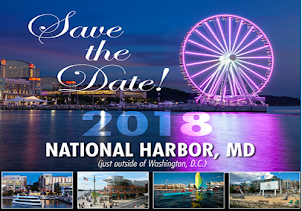 Save the Date for the 2018 HRO Today Forum North America in National Harbor!